So the Kenzo Tiger was big, but that was so 12 months ago. It's all about the Kenzo eye now and we saw them EVERYWHERE over fashion week. Honestly, from front row to standing, there was a Kenzo eye in every group. The fashion set can't get enough. And it seems the high street is taking note. ASOS have just released a rather similar style that we're sure will sell out in an instant. 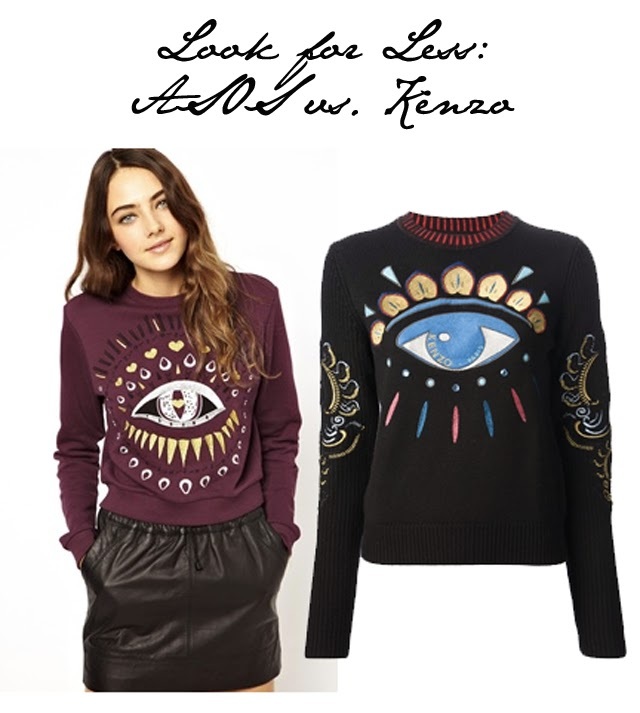 At £28, it's a fraction of the price of the Kenzo Eye original which sells in most stores for over £400. Whether designer or high street look alike, this is an ensemble we love seeing for the time being.